Why are so few homes for sale in the Bay Area? 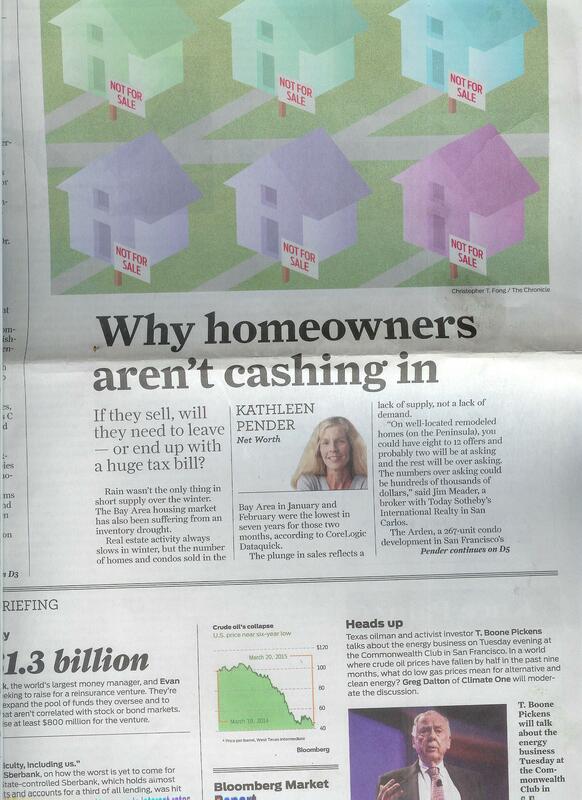 http://www.sfchronicle.com/business/networth/article/Why-are-so-few-homes-for-sale-in-the-Bay-Area-6148973.php. The most thorough article we’ve ever seen. 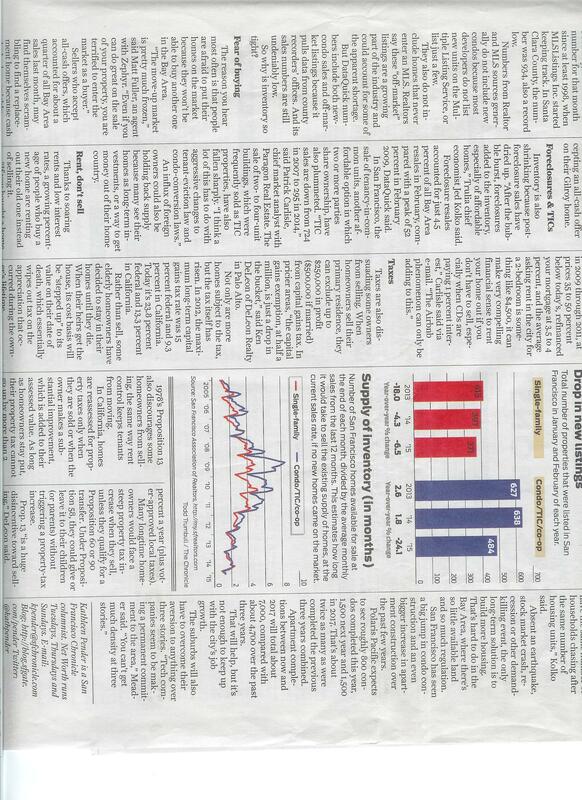 We’ve been trying on and off over 7 years to bring this to light to a legislator….good investigative writing. 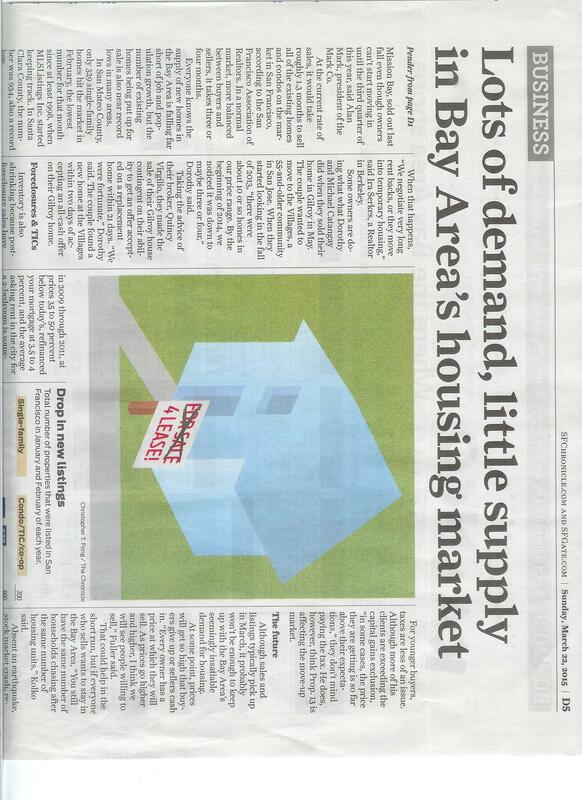 We’ve enclosed an article we wrote to the Mercury News 7 years ago. 1.Education funding at all levels is hurting directly based on lack of home sales, especially by seniors over 65 not wanting to pay huge capital gains, nor face a Prop 13 increase. There has to be billions of dollars in potential home property tax revenue not being realized, due to low sales. 2.There is little doubt here in California that huge student loans are the result of Prop 13 and potential capital gains at 23.6%. Presently, nationwide student loans are at $1.2 Trillion guaranteed by the federal government. This makes the feds complicit on both sides. I believe a high percentage of student loans are in default. Thousands are paying interest only. I paid $85 per semester for undergraduate fees at Berkeley which included football tickets. Those were Eisenhower days…a strong Republican. The high, tax rates were around 70% on lower incomes. Make no mistake, huge student borrowing is the direct result of Prop 13 and large capital gains on the sale of homes here in California.